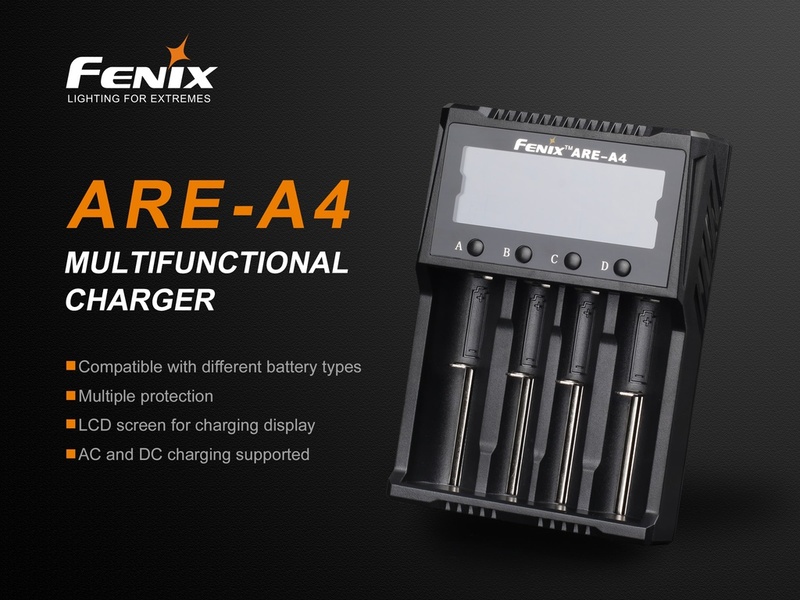 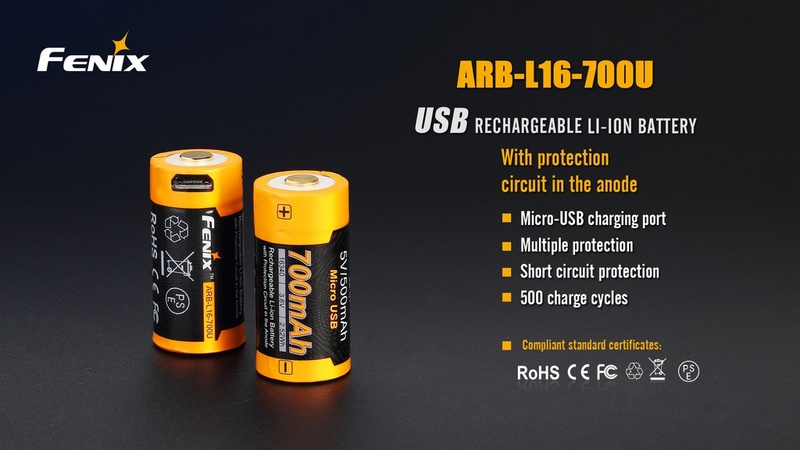 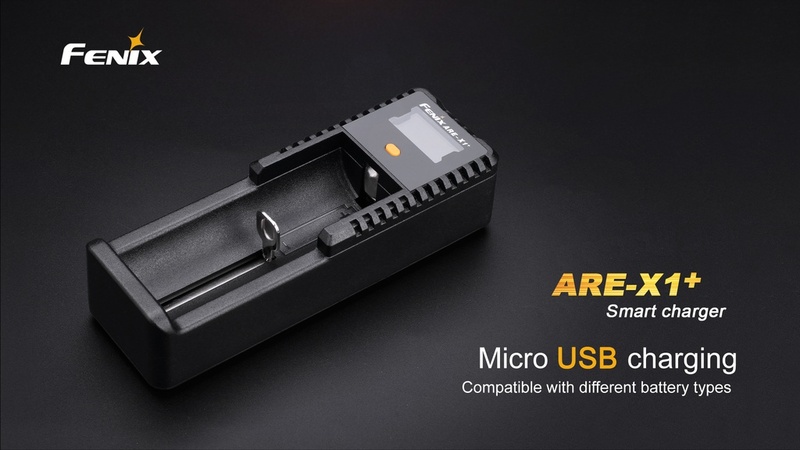 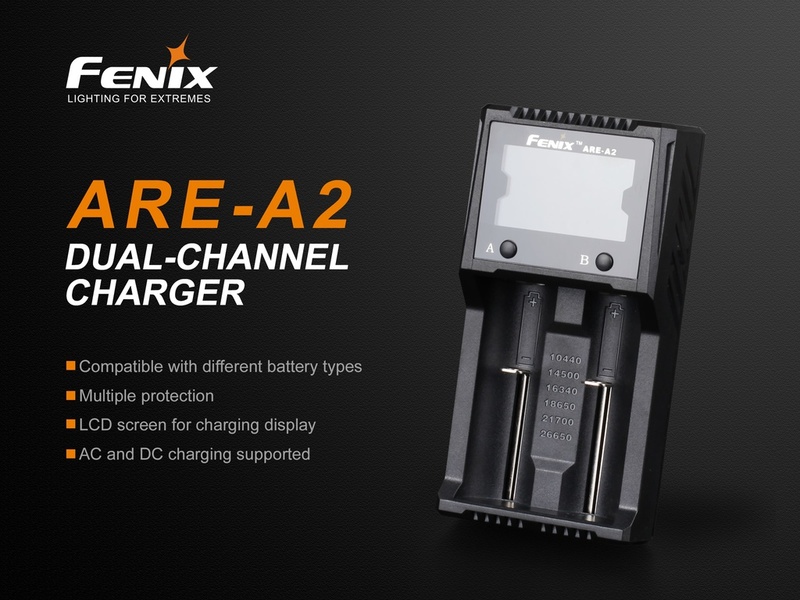 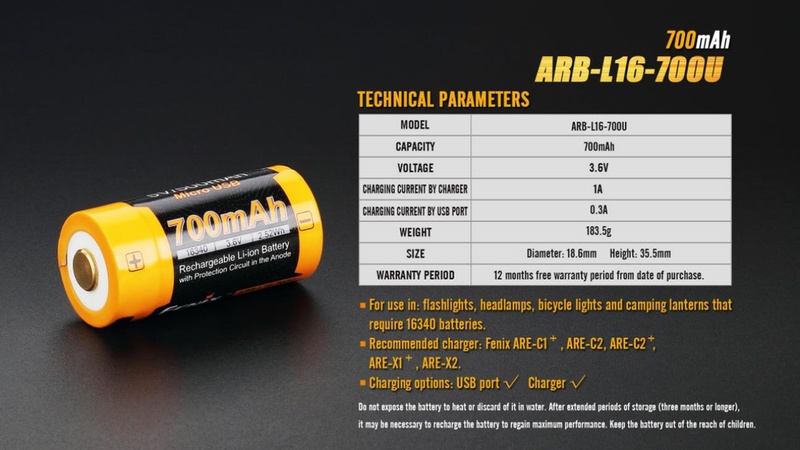 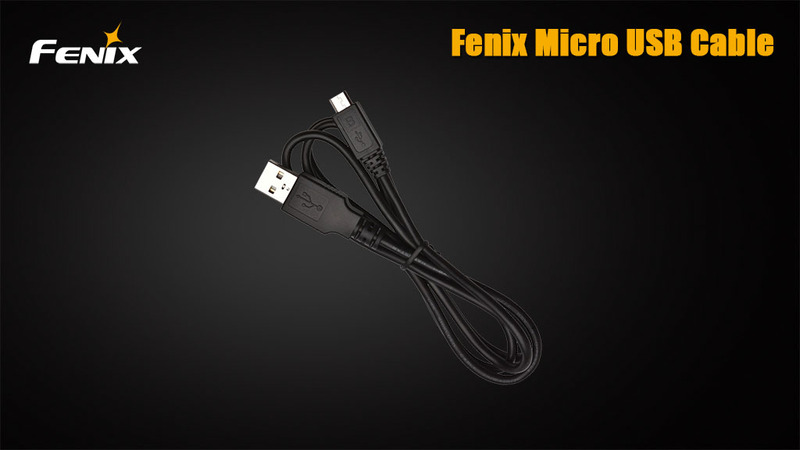 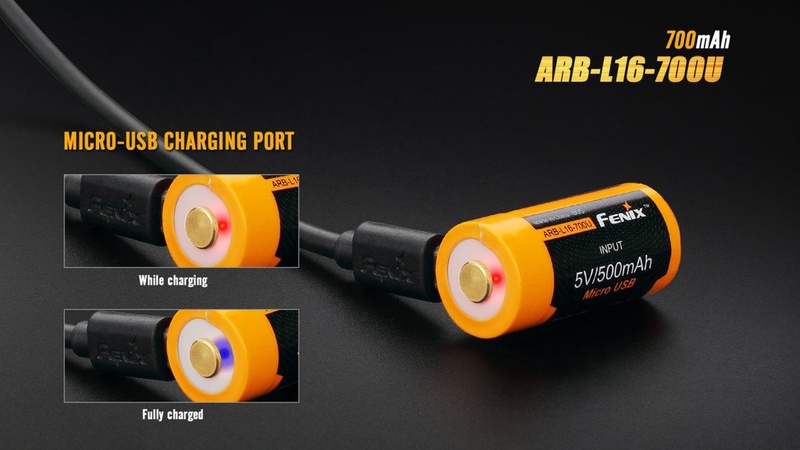 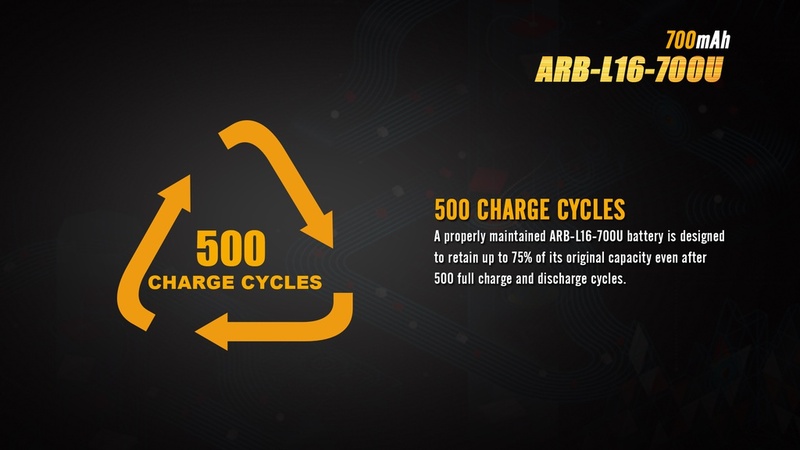 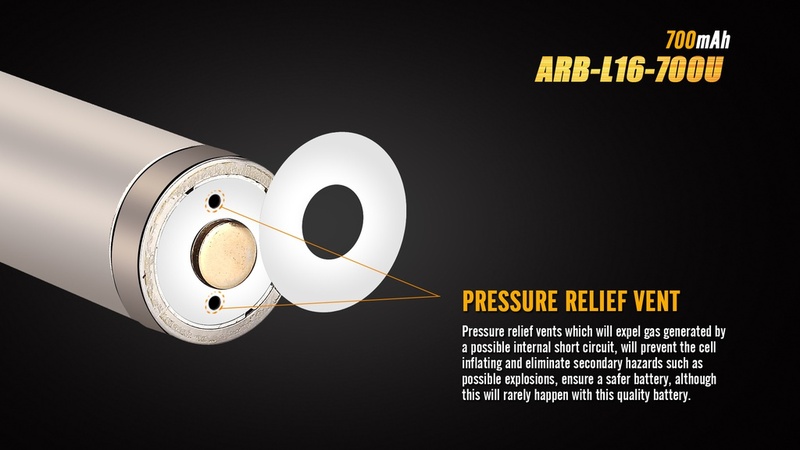 The ARB-L16-700U, 16340 type battery, can be charged by its own USB port and by the charger as well. 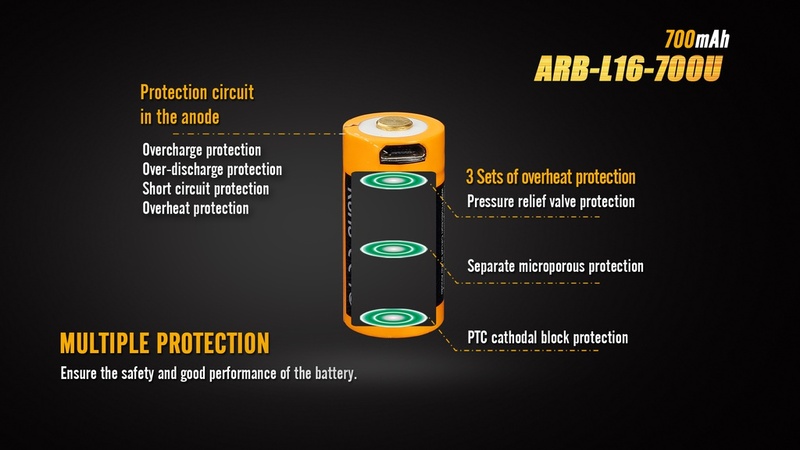 A protective circuit is built into the anode and covered with a riveted steel hat. 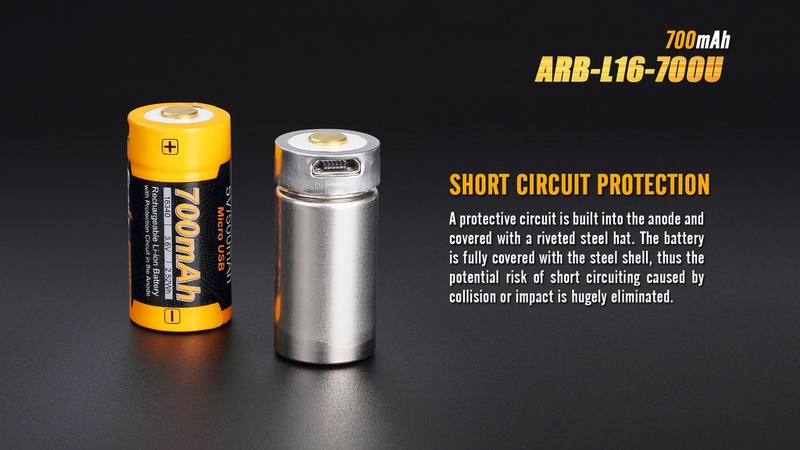 The battery is fully covered with the steel shell, thus the potential risk of short circuiting caused by collision or impact is hugely eliminated.